By now, you’ve probably realized Thanksgiving is the gateway to the spend-heavy holiday season. With your fridge stocked for this weekend’s big family dinner, you might already be wondering how your bank account will survive the next few months. What if you could pay for your Thanksgiving dinner with the returns from one of the best cash-back credit cards in Canada? Leading up to the holidays, you could be racking up rewards for your everyday spending on groceries, gas, drugstore items, and even household bills using a card that refunds you a percentage of every dollar you spend. The turkey is generally the centrepiece—and the biggest cost—of a Thanksgiving meal. For example, using Metro’s flyer for Sept. 29 to Oct. 5, a frozen Butterball turkey costs $1.49/pound. 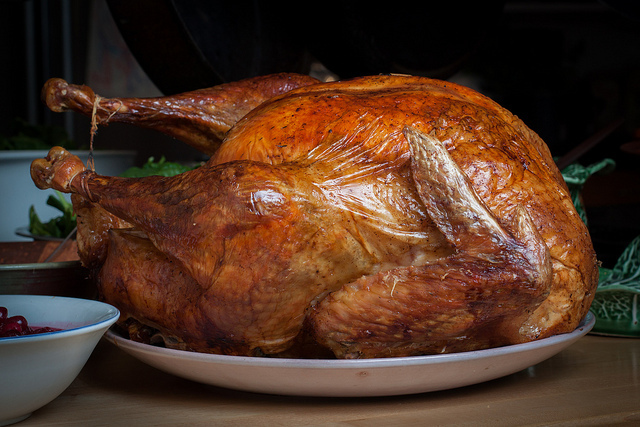 Using Butterball’s handy turkey calculator, the recommended size for 10 guests is 20 pounds, which would cost $29.80. Then there’s all the trimmings: Stuffing, mashed potatoes, vegetables, alcohol, rolls, butter, and dessert. It’s likely to add up to $75 to $100, depending on the numbers of guests. Even if you aren’t shouldering the entire cost of dinner, you may have to consider host gifts, gas for travelling, plane tickets, or even an early Christmas present or two for long-distance relatives. Here’s how you can start utilizing your everyday spending habits to pay for next year’s holiday festivities. Using Ratehub.ca’s rewards calculator, you can input your personal monthly spending profile and compare cards side by side to find the right one for you. 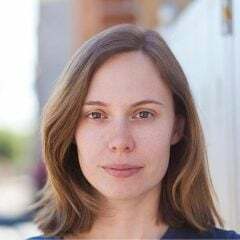 Here, we’ll assume a monthly spending budget of $1,400, with $250 spent on groceries, $300 on gas, $150 on restaurants, $300 on bills, $100 on travel, $100 on entertainment, $100 on drugstore purchases, and $100 on everything else. 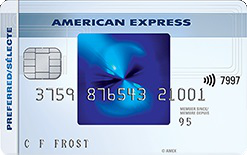 The SimplyCash Preferred Card from American Express, for example, offers new cardholders 10% cash back on eligible gas, grocery, and restaurant purchases for the first six months (up to $300 cash back) for the first six months, 2% cash back when the welcome rate ends. The card’s annual fee is $99. It also comes with premium travel insurance benefits usually only available with travel rewards credit cards. That’s $417 cash back in your first year for you to use toward a whack of groceries, a bottle of wine and a card for your friend hosting dinner, gas for the trip to your in-laws’ house, Christmas presents, or savings. Even if you spread out your holiday shopping throughout the year, you’ll still get a rebate for money you’re spending anyway. 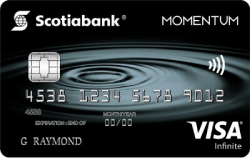 Another card is the Scotia Momentum Visa Infinite, which offers 4% cash back on the first $25,000 spent on groceries and gas per year (1% cash back per dollar thereafter). It also offers 2% cash back on the first $25,000 on drugstore purchases and recurring bills. You’ll earn 1% cash back on everything else. Yes, you can earn back a few dollars from those pesky wireless and utility bills, and anything bought in a drugstore: Prescriptions, cosmetics, food, etc. The card’s annual fee is $99. Using the points calculator and the same budget scenario as above, this card will earn you back $426. A cash-back credit card is the same as any other type of credit: Only spend what you can afford to pay back. 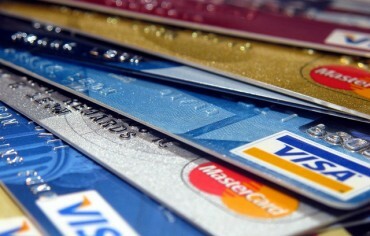 When used strategically, cash-back credit cards can have a decent payoff. And if you end up hosting Thanksgiving dinner again next year, you can relax knowing your yearly spending will be rewarded. Now that’s something to be thankful for. Will Closing the Tax Loophole on Principal Residences Cool Canada’s Housing Market? Are GIC Rates About to Edge Higher? Aeroplan is one of Canada’s oldest loyalty rewards programs. 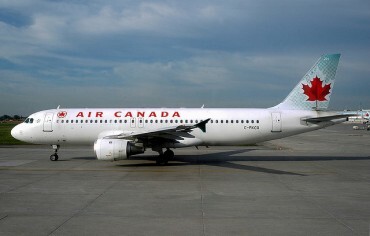 It allows you to redeem your miles for flights with Air Canada, or with any other Star Alliance member airline.